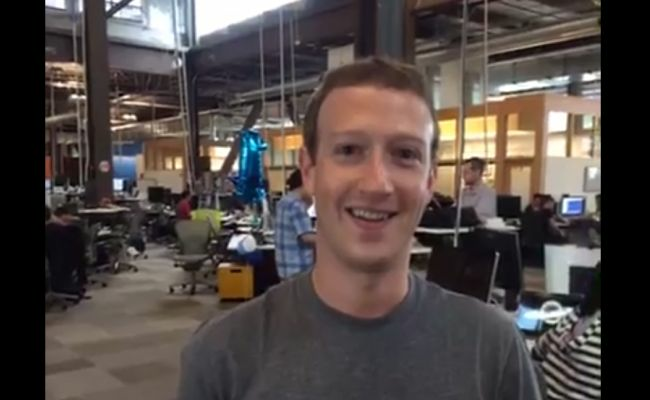 In the company's first 'live' video, Mark Zuckerberg personally provides a tour of the tech giant's new headquarters. Ever wondered what's inside the Facebook headquarters at Menlo Park, California or what Mark Zuckerberg's office space looks like? Wonder no more, the Facebook CEO has just granted you full access to his kingdom. In the company's first 'live' video, Mark Zuckerberg personally provides a tour of the tech giant's new headquarters. Essentially, the Facebook workspace is sprawled across a massive open area and has a democratic seating plan with no cubicles. "By having an open floorplan where people work close to each other, it facilitates people sharing and communicating that what they're doing, which enables better collaboration, which is key to building best services for our community," Zuckerberg says in the video. The 'people who work close to each other' includes the boss himself. After whizzing through a simple lay of the land, Zuckerberg and the camera end up at his own workstation - not a corner office with fancy interiors and furniture, but a desk in the open plan space, just like everyone else's. Think you can you spot more desk items in the video below? Do let us know in the comments section below.